Despite having Asia’s second-largest Muslim population, Malaysia’s contribution to Islamic State has gone largely unnoticed. That may be about to change – with potentially dire implications for the country’s tourism-driven economy. Recently Britain issued a very specific caution to its citizens: Avoid all but essential travel to the island resorts off Malaysia’s eastern Sabah province. Then, three days later, Australia warned of potential terrorist attacks in and around Kuala Lumpur. Faced with a direct financial hit on its all-important tourism industry, the local reaction was to downplay. “Malaysia is safe from any threats including terrorism,” said Tourism and Culture Minister Nazri Aziz. “There are no indications of an imminent attack on the capital”, assured Kuala Lumpur’s Police Chief Datuk Tajuddin Md Isa. So what prompted two foreign governments to suddenly issue terrorism warnings in one of Southeast Asia’s most popular tourism destinations? Over 27 million tourists visited the Malaysian archipelago in 2014, producing receipts of over 72 billion Malaysian ringgit (US$ 18.5 billion). 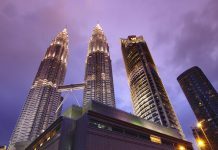 The country’s embattled prime minister, Najib Razak, has pointed out that tourism is now one of Malaysia’s most important industries. One in every eight Malaysian citizens works within the tourism sector, which contributes over 15 percent of national GDP. In fact Malaysia has recently recorded more inbound tourists than Thailand, which carries a long-standing reputation as a popular holiday destination. Generally, the world views the ASEAN region as predominantly safe and benign. Tourism in the region has grown at roughly 10 percent per year in the current decade. But the looming threat of Islamic terrorism now threatens to bring that trend to a halt. 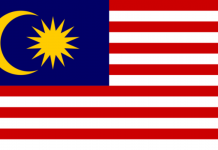 Malaysia, with its overwhelmingly moderate brand of Sunni Islam, has yet to experience any major terrorist assault. Yet the threat has been growing – from embryonic, to emergent, to definitive – within a very short space of time. Terrorist training camps linked to Islamic State have been identified by Malaysia’s security services in regions including Port Dickson, south of the capital Kuala Lumpur, and Kuala Kangsar in Perak state since 2013. Local militants have reportedly received weapons along with Islamic State indoctrination. With a few days of training, graduates of these camps are then dispatched to Syria. Exports have included a Malaysian woman in her 30s. She travelled to Syria via Turkey, reportedly to participate in jihad al-nikah, or sexual comfort roles for the jihadists. To set such activity in context, 2014 was at a time when the world at large was still blissfully ignorant of the existence of Islamic State. Al-Qaeda dominated the entire international terrorism news agenda. The capture of Fallujah and Mosul, the advances on Libya, the taped beheadings of westerners – these events were still up to a year away. 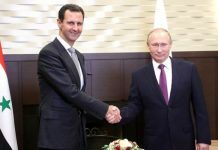 Yet in Malaysia, a training camp and channel to Syria had been formally established and was up and running. The camps highlight not only close operational collaboration, but theological affinity with Islamic State’s Salafist doctrine of a return to the original ways of Islam. This speaks volumes as to Islamic State’s intent for Malaysia and the wider region. Given this connection, and the geographical distance between Malaysia and Syria, it’s likely that the process of sending vetted local jihadists to Syria was initiated by Malaysian recruiters. Their decision will have been motivated by a longer-term strategic objective: to create a generation of jihadists with combat experience who could then be repatriated or redeployed to Malaysia to continue their jihad. These ‘returnees’ would spread the message and train local militants in battlefield-tested terrorist tactics – techniques and procedures gleaned from Islamic State. Such a strategy repeats the experience of the 1980s Afghan war, when jihadist groups throughout the Muslim world sent their fighters to gain combat experience that would later be recycled and applied in their respective homelands. The particular “success” of Malaysia’s training camps has been to identify recruits so motivated and radicalised that they’re willing to give up their lives for the cause – introducing a singularly new and deadly security threat to the country: the suicide bomber. The January 2016 arrest by Malaysian Police of a suspected suicide bomber in Kuala Lumpur signals that this transition has already begun. To date at least six confirmed Malaysians have participated in suicide attacks on behalf of Islamic State. Most of them, if not all, were graduates of these pre-deployment training camps. The advent of suicide attacks will mean increased security concern for the Malaysian state as these radicals return home. Sympathisers with Islamic State’s cause probably number around 50,000, according to Malaysia Police. A Pew Research Poll last year put the total closer to 3 million, or 11% of the population. Either figure would indicate a sufficient core for very meaningful support to Islamic State, and a continuous flow of willing recruits. But the most worrying demographic identified within these statistics are radicalised individuals found to be serving in Malaysia’s armed forces and security services. Several serving officers have been arrested since 2013 for moonlighting as active Islamic State cell members, while directly engaging in terrorist activities such as facilitating illegal entry to the country and providing safe houses to the jihadists. As terrorist attacks in Pakistan demonstrate, infiltration of the armed forces by radicals endangers strategic assets – ports, airports and naval bases – and leaves potentially catastrophic weaknesses in any security measures or strategies relied upon to counter Islamic State activities. Against this growing threat, the government has shown determination in dealing with Islamic State. The Prevention of Terrorism Act introduced last year allows lengthy detention of terror suspects without trial or judicial review. 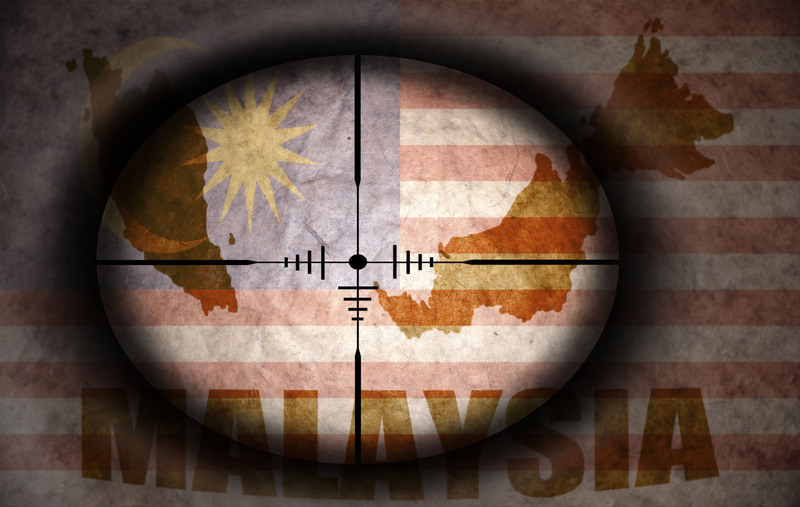 Intelligence sharing has been stepped up with Malaysia’s immediate neighbours. To date, the country’s security forces have successfully foiled attacks and arrested hundreds of suspected militants. But prevention of attacks does not equate to eradication of the threat of future incidents. Islamic State has demonstrated its intention to carry out assaults throughout Southeast Asia with a series of bomb and gun blasts at a popular commercial and shopping area in the Indonesian capital of Jakarta in January, killing two and wounding at least 23. The recent attacks, which targeted Western hotels and restaurants, were the worst since the 2002 Bali bombings, in which over 200 people died. Aside from the egregious loss of human life, it is worth pointing out that the economic impact of Bali was catastrophic for Indonesia. In the year following the bombings, the number of tourists dropped by over 32 percent and resulted in huge decreases in tourism revenues. Meanwhile, today at least 23 countries have issued travel warnings for Thailand in the wake of last October’s Bangkok bombings. Southeast Asia’s reputation as an idyllic and harmonious holiday destination is increasingly under threat. Malaysia, which has the region’s second-largest Muslim population, arguably carries the greatest risk of becoming the next target. Yet with its economy so dependent upon the continued inflow of foreign tourists, the battle against Islamic terrorism is not one that the country can afford to lose. The authors of this report are Phill Hynes and Hrishiraj Bhattacharjee, analysts at ISS Risk, a frontier and emerging markets political risk management company covering North, South and Southeast Asia from its headquarters in Hong Kong. Phill Hynes will be interviewed by Frontera Managing Editor Gavin Serkin on the Emerging Opportunities show on Share Radio. Tune in for the podcast at Frontera News on Monday, April 18 from 8pm London / 3pm New York here.